A long time ago people used to pump water directly out of the ground. Maybe you’ve seen those pumps I’m talking about. They had a long heavy handle on one side and a spout on the other side. To get the water you had to pump the handle and draw the water up from way down below and it took a lot of effort. Actually it was kind of ironic because in order to get the water to cool yourself down, you had to work up a real sweat to pump it out of the ground. So there you are out in the hot sun, thirsty and sweaty pushing the handle down with all your might and then with two hands pulling it up as hard as you could. It was hard but if you kept at it you would eventually see a little trickle of water which would slowly become a stream of running water. Then something really interesting would happen, once you got the water to the top and it started flowing it took hardly any effort at all to maintain. That’s what it’s like to build sales momentum. It can be hard at first but once you get it rolling it’s easy to keep up with. Building momentum starts with small steps. Seemingly insignificant things that are happening all the time. All you need to do is recognize them and build on them. Even if your last interaction wasn’t a sale look at what went well and do it again. Celebrate little wins and keep going. Momentum has to start somewhere so recognize your starting place and get going. Now that you’re underway take some deliberate actions to build even more momentum. Building momentum in sales means doing things today that will pay off tomorrow. 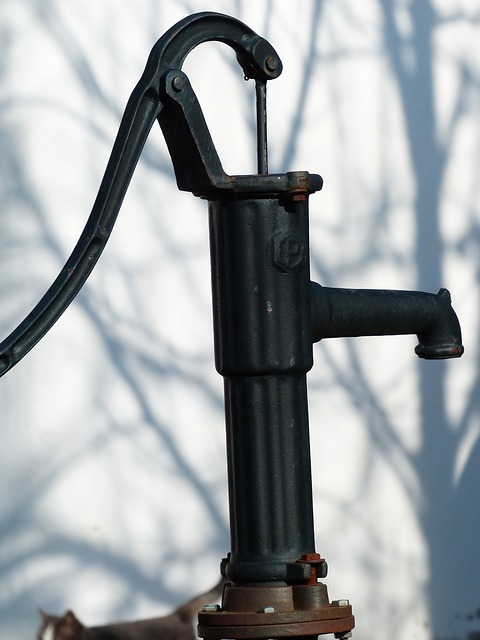 Just like the water pump, you may need to sweat some more before you get a pay off. Prepare by reviewing your sales scripts and practicing. Review your product knowledge, customer testimonials, and attend trainings. These are just some of the activities and actions that will build your confidence, your belief and momentum. In order to build momentum you need to set goals that move you forward and give you an incentive to keep going. Many times, after a good month, week or weekend the tendency is to sit back and relax but doing that can kill your momentum and make it harder to get going again. Take time to celebrate your great success and then set your next goal. Set the goal a little higher and go for it. Setting your next goal on the heels of a success can keep you in a winning frame of mind and motivated to do more! If you want to hit your goals and get bigger commission checks don’t focus on your goals and bigger commission checks. Focus on helping your customer. Give them your undivided attention and help them solve their problem. You’ll feel great and everything else will fall into place! Salespeople who spend most of their time focusing on their own needs tend to push customers away. You can’t push constantly or you’ll burn-out. So taking a little break every now and then to refresh and re-energize makes sense. The key (and what the sales pros know) is not to “rest” too long. Imagine you’re on a bicycle at the bottom of a hill. It takes a lot of effort to start from zero and continued effort to climb to the top but now you have a nice downhill ride before the next hill. It’s ok to coast a little but you don’t want to lose your momentum. So you coast a little to rest your muscles and then part way down you start pedaling again and that makes the next climb easier than the first. 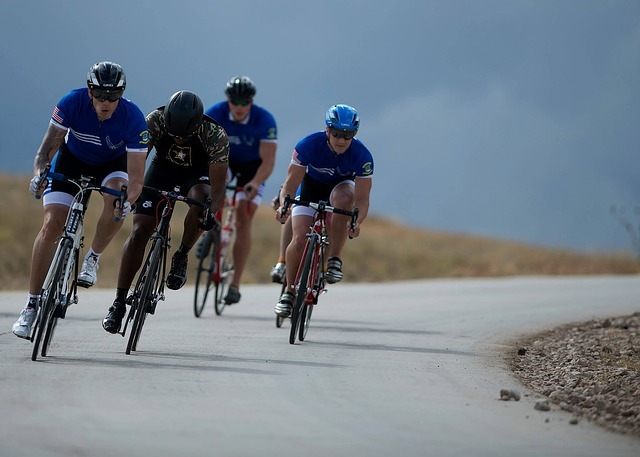 Be sure to build in “little” breaks but then start pedaling again to maintain your momentum. Keep doing all the things that got you started. Like the pump they’ll be easier now that you’ve got momentum. Look back at your success, set goals and prepare by reviewing your products, training and testimonials. How do You use Momentum to your Advantage During the Sale. So now that you’ve built some great momentum for yourself let’s shift our focus to the momentum you build in your sales interactions. Obviously, each new customer interaction starts at zero and you have to build your momentum from scratch. You make a connection, build some rapport and have a conversation. You listen and learn what your customer needs and they begin to develop trust in you. Then you transition to explaining how your product will help them solve their issue. You’re excited, they’re excited and the momentum is building. You explain your offer, give them the price and ask for the sale. When they say yes many salespeople begin to coast but the pros know to ride the momentum. Saying yes to your main offer is the hard part but now saying yes to a complimentary product, rush service, an autoship program or even a referral is easy. All you need to do is ride the wave and ask. But what if they say No to your main offer? Doesn’t that kill the momentum? Not if you let it. Sometimes I hear salespeople, who have been on a first name basis with their customer, suddenly switch and start referring to them as “sir” or “mam” if they object….and this can kill momentum. Instead use the momentum you built earlier in the call, you’re on a first name basis, use that to keep it personal, maintain excitement and revisit key points. So momentum really makes your job much easier. It takes some effort to get going but once you’re in momentum it’s easy to maintain and can take you to amazing places in your sales career!